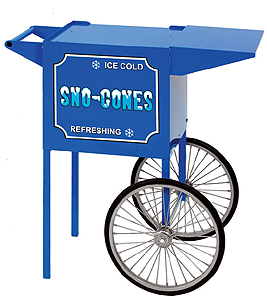 Featuring sno-cone machines, sno-cone matching carts, sno-cone supplies. 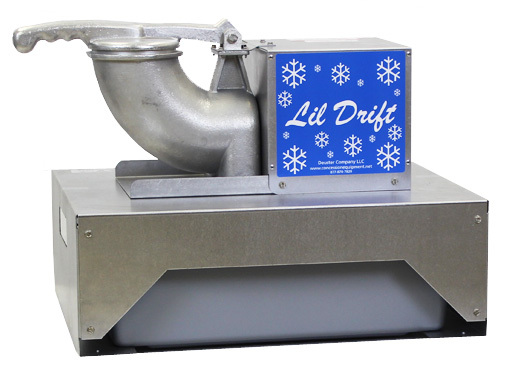 Look for our complete line of sno-cone syrups, both in liters and gallons. 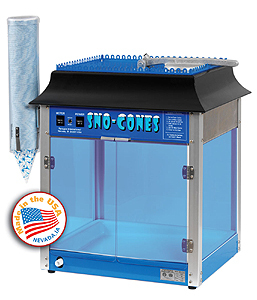 Buy sno-cone cups by the case and save money. Why should you buy here? Guaranteed lowest price. 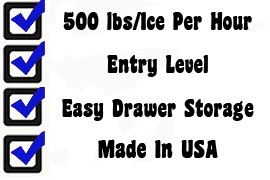 If you find an offer for the same identical popcorn machine on the web, we will match any distibutor's price up to 30 days after the sale!! 30 Money Back Guaranty. 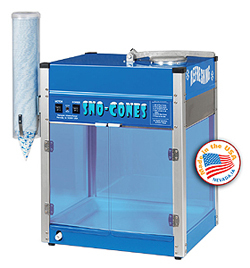 If you are not happy with your sno-cone machine, we will gladly take your machine back and refund 100% of your purchase price. No questions asked. 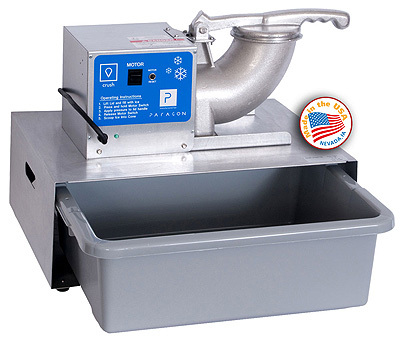 Machine must be sent back to us in the original box and be in good working order. All shipping expenses are the responsibility of the customer. This excludes warranty issues. 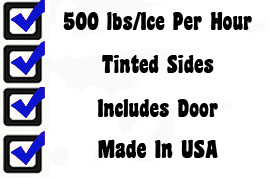 We do accept school or school district purchase orders. 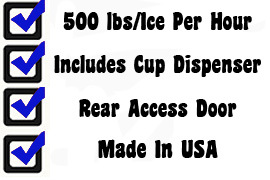 Please give us a call Toll-Free 1-877-870-7829 and we'll be happy to give you all the details. Please provide a valid US street address. 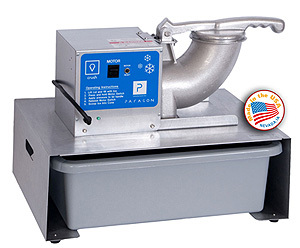 We no longer ship popcorn machines or any of our products to FPO, APO or P.O. 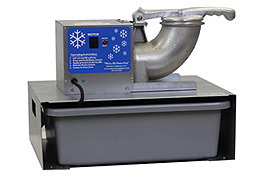 Our cotton candy machines, snow cone machines have a three year warranty. 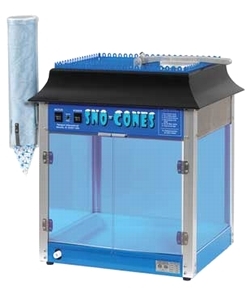 Important Snow Cone Information: Not sure about your snow cone party? Here are some basic references to help you plan without over buying. 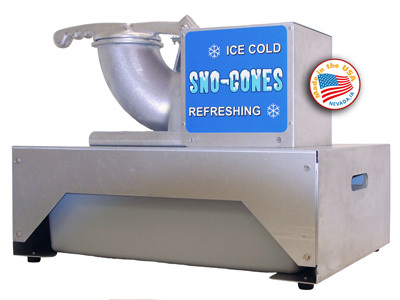 It takes 1/2# of ice to make (1) 6oz snow cone. 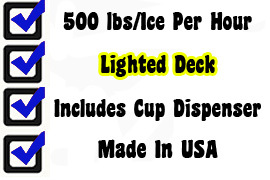 For every 100#'s of ice, you'll net 200-6oz cups. 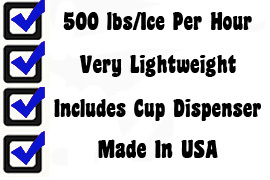 Each snow cone cup will take two ounces of syrup. They will not hold more. This makes it easy for syrup. 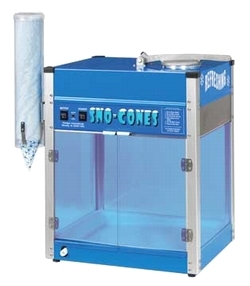 A liter will net 16 cones and a gallon will net 64 cones.